When the Sun starts its journey from directly overhead towards its setting in the west it is a challenge to find shade walking from Circular Quay to Bennelong Point, Sydney, NSW, Australia. The light was so bright on this day that I hadn’t realised that I’d chopped the front of the Carnival Spirit cruise ship off until I got home. Even so I achieved my objective of capturing the cool water bound shadow of the ship. 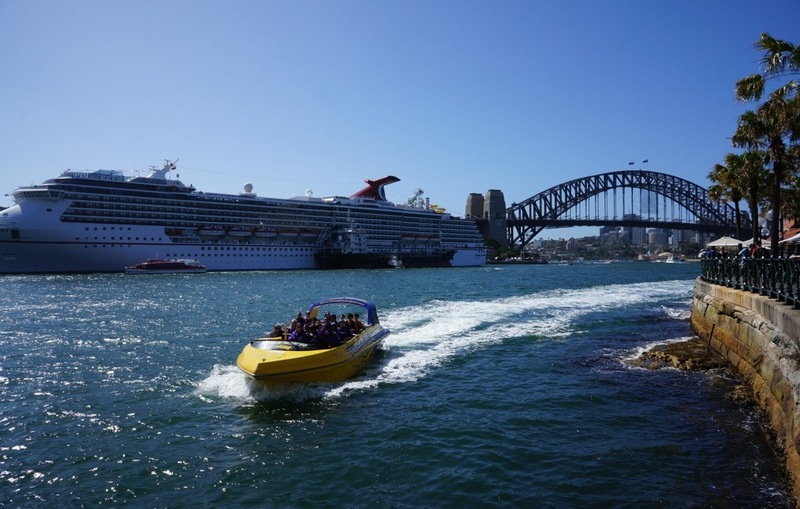 The appearance of the jet boat in the photograph is a pleasant accident. It’s great to hear from you, I hope 2014 is a happy one for you.